If you dazing out your window right now and thinking what a mess our trees our you may want to consider our pro tree removal and trimming service in Mt. Vernon. We want your yard to be easy on the eyes and that is exactly what it will be once we are doing turning your trees into a work of beauty. Step on in getting our phenomenal service is to pick up the phone and call us. Step two we come out. 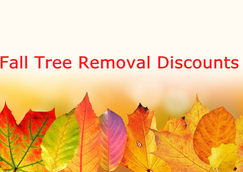 Step three we give you a free tree removal or trimming estimate. Step eight you pay us. Step nine you give us a great review on Google. Step ten you refer anyone else to us looking to get some work done. There it is in ten easy steps. If these steps don't have what you are looking for than check out our services tab at the top. We also do other work. You don't go into cardiac arrest when you hear the estimate. At least not from the shock of the job because we work cheap. Not so cheap we have to eat ramen noodles every night but cheap enough that you wont have to eat ramen noodles after using us. When we are working we are smiling. That is just what we do. We try and find people for our crew that love what they do. That is why most of the time we have a smile on our face and a chainsaw in our hand. Nothing like a brisk morning cutting at the branches way up high in a bucket truck. Just something about it.